Welcome to our Poker Strategy articles, your ace in the hole when it comes to learning Texas Hold'em poker strategy. Our comprehensive poker lessons are easy-to-read and comprehensive, providing valuable information to both newcomers and veteran poker players. This collection of poker strategy articles serves as a simple guide to learning, developing and enhancing your poker game. Our poker strategy articles begin with explanations of poker basics: blinds, Texas Hold'em hands, odds, the flop, poker tips, how to manage your bankroll and and strategies for enjoying your game. New poker players should definitely begin by reading the poker strategy articles listed under the title "Beginners Club." Starting out with the basics and getting some initial poker practice, will definitely help the beginning player start off on the right foot. Poker is a game whose basic rules and nuances are quite simple to learn, and those same principles define the game play whether you're playing a low stakes pot limit table in the comfort of your own home, or you're in Las Vegas playing the WSOP main event tournament. Advanced players and those who already know how to play poker might also consider reading these basic poker strategy studies in order to refresh their knowledge of the fundamentals of the game. As the famed Steve Badget poker quote goes: "Once you start thinking you have nothing left to learn, you have everything to learn." After you learn poker basics, continue by reading the advanced poker strategy pages collected under the title "Professionals Club". Here you will find articles covering topics ranging from bluffing in poker to how to tailor your game according to your position at the poker table. Before you begin reading our in-depth poker strategy articles, you must know the basics of the game. As the saying goes, learning to play Texas Hold'em takes just a few minutes, but mastering the game will take a lifetime. So, let's start with things that are easy to understand, to make sure you know poker basics. Poker is played with a deck of 52 cards, with the ace being the highest card. In the game of Texas Hold'em players try to make the best possible five-card hand, using a combination of their two pocket cards (which are not seen by the other players), and the community cards which are dealt face up on the table. 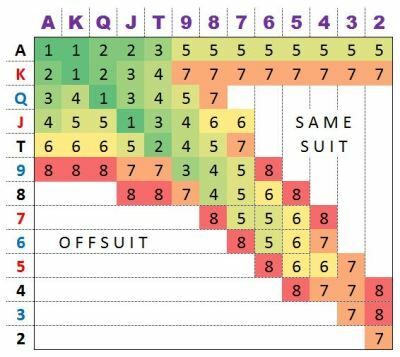 Make sure you know the poker card rankings so that you can determine if you are holding the best hand. The rules of the game of poker are quite simple - cards are dealt and then there are betting rounds. Players who decide to fold their cards are out of the action until the next hand. Those players who bet and call their opponents bet remain in competition to win the pot (the chips in the center of the table). Players who make it through all the betting rounds reach the showdown, where the best possible poker hand wins. Make sure you know the poker rules. If any of the above information confused you, it could be because you do not yet speak the language of poker. Poker has special terms and a unique glossary, and you should make sure to learn this language as you begin playing the game. Knowing the poker terms is one of the basic skills needed for the game. Texas Hold'em Poker is a very mathematical game. It's not a game in which you count cards, but one where you consider odds. What is the likelihood that your opponent has you beat? How many outs are there to ensure that you will win the hand? There are only so many two-card starting combinations that can be dealt in the game of Texas Hold'em Poker. So if you get dealt a pair of queens, and your opponent raises, what are the odds that he is holding a better hand than yours? 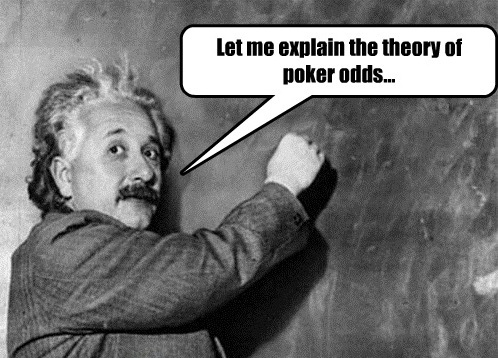 We've compiled a number of strategy articles to teach you about Odds Calculations, starting with the mathematical considerations of starting hands and continuing with statistical probability of hitting certain poker hands on the flop. What is your chance of success holding 10 outs, and how does that percentage change if you only have 5 outs? 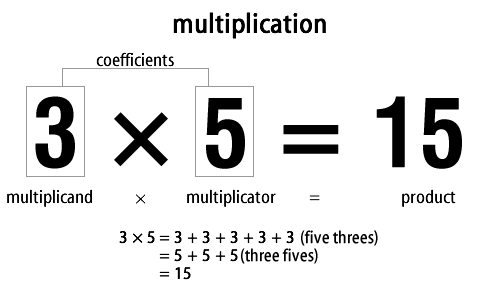 It's all a matter of poker arithmetic. The basic difference between the Blinds is well-known. One is small, and the other is big. But there are things to consider when you're in the small blind, and other considerations when you're in the big blind. We offer some very basic advice about Playing the Blinds. After surviving the first betting round, you get to look at the flop. This is moment of truth, revealing to most players if they have a chance of winning the hand. But things can be a bit complex. You're faced with some crucial decision making. Here's advice How to Play the Flop. Once you've mastered the Poker Strategy articles we've set aside for beginners, it's time for you to up the ante, raise the stakes, and learn some of the more advanced ways to improve your poker game. Even if you consider yourself a good poker player, you'd be wise to take a look at our poker articles. It never hurts to refresh your understanding of the game. We've got the articles that will help you become a professional poker player. You can't make a career out of poker unless you've mastered the science of bankroll management. Protecting and growing your poker bankroll are two of the most important skills you can learn. Learn More in our article about Money Management. Success at the poker table can frequently depend on just one word. That word is 'position'. Some say position at the table is more important than the cards you are dealt. Read our article to learn about Position in Poker. Bluffing has to be part of your poker arsenal, but you need to know how, and when to bluff. Start to improve your Bluffing skills today. Learn all the "ins" and "outs" about poker by consulting our comprehensive Texas Hold'em Guide.